I will definitely not be finishing the cookbook project I started in October of 2013. It was a fun challenge at the time, and I do still find the idea of cooking through a cookbook inspiring, but I think America’s Best Vegetable Recipes was just not the right book. For one thing, the book had sections of recipes for vegetables I can’t find locally. For another thing, the book had a whole chapter of aspics. Ultimately the project’s demise came about because I don’t enjoy cooking the way the book’s 1970 audience did. I prefer my vegetables fresher with fewer processed ingredients and an emphasis on flavor. What I am most inspired by now is permaculture and the notion that my yard could be full of the sorts of fruits and vegetables that most want to grow in this spot. As I learn more about this way of gardening and I see more examples of people growing abundant food I am most struck by how challenging it would be to prepare and eat it all. My yard isn’t close to any kind of food production yet! The squirrels still get all of our fruit and my most daunting harvest challenge is how to use some herbs. However, it seems to me that if I want to aim for a healthy and productive garden I better start practicing how to cook and eat the produce that grows here. This means visiting farmer’s markets and eating seasonally as I continue to figure out what will grow best on my small plot of Earth. Watch this space for more ruminations on gardening, seasonality, and what it means to eat locally. Maybe with actual photos! Yesterday I had the opportunity to get a free haircut as a hair model at a local salon. A few days ago I had found a request online for people with curly hair who wouldn’t mind going short as part of a training program. I answered right away! My former hair stylist stopped returning phone calls a while ago and getting in touch with her was so difficult that I had started cutting my own hair. This was fine, but not great, so I jumped at the chance to get a new cut and possibly find a new stylist. There was great potential for this to go wrong, but I was very lucky — my stylist in training, Mel, not only had plenty of experience at other salons, but she had also learned from someone who had special training with curly hair. As you can see, my cut turned out fantastic! I look forward to visiting Mel again in the future after she passes her training program with what are sure to be flying colors. Happy New Year! Ok, I know it is the end of April already, but since this is the first time I’m posting here since the end of last year you get my holiday greetings anyway. Yes, we are still schooling the children at home. No, I am no longer cooking through the vegetable cookbook. I don’t know that I have given it up completely, but I certainly don’t think about it much. Maybe I’ll get back to it one day. Was I doing any other projects here? I don’t remember. Lately I have been getting very interested in permaculture. Permaculture is a way of looking at the Earth (and life, and community, and many things) that emphasizes working with natural systems instead of fighting against them. It is the only thing I have found that makes sense of gardening on my unruly half acre, so I have been trying to learn as much about it as I can. For example, permaculture teaches that all of the leaves and sticks we have on our wooded lot are a resource and not a liability. I have been building new raised beds with them (in the shade, which is what we’ve got) and trusting our abundant soil critters to turn them into dirt. This observation made me stop and think. I have been trying to encourage the building of new soil in an easy and natural way. The vinca is doing that for me. What is it I really object to about it? It’s the fact that it looks messy. Thankfully, there is an easy way to fix that. All I need to do is cut down the part that sticks up above the runners and everything looks less weedy. I can drop the chopped stuff as mulch to compost in place and that helps the soil even more. Suddenly, tidying up my huge yard isn’t so intimidating. I can take care of a swath of vinca, trumpet vine, ash and redbud saplings, and everything else that makes my half acre so unruly in much less time with just a pair of clippers. Once I get an old fashioned hand sickle (a land-working peasant tool, according to my husband) it will go even faster. I used to chastise myself for letting the place get so weedy, now I can praise myself for having the foresight to grow so much mulch. Permaculture for the win! We took the week off of homeschooling for Thanksgiving so I could travel to the land of lemon trees and sunshine (aka south Florida) but jumped right back in last week for a lesson on Saint Nicholas. This beloved saint of the Orthodox Church is the patron of children, sailors, and our own parish priest. It was fun spending a week getting to know St Nicholas better in anticipation of his feast day on December 6th. First the kids colored their letter n worksheets, then we read the life of St Nicholas and started our lesson. 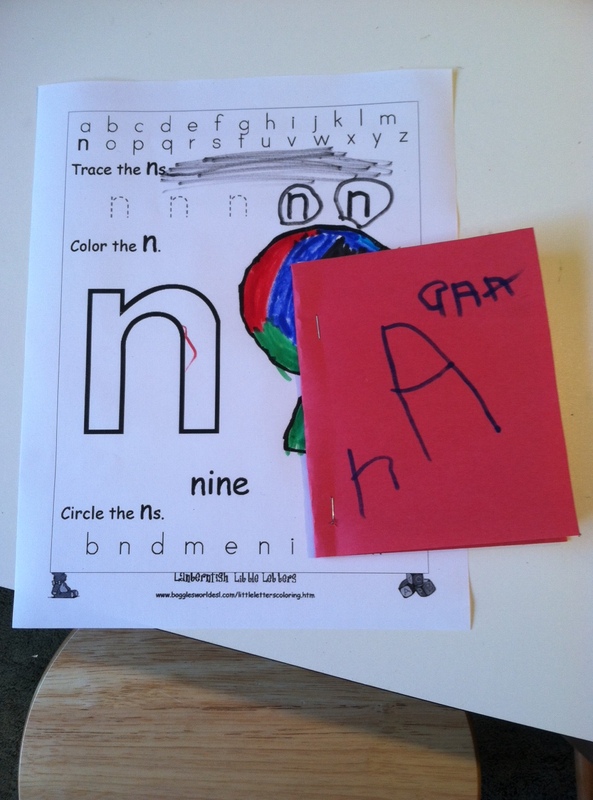 R’s mom found a great web site for coloring pages and other resources at the St Nicholas Center. The children made a book about the life of St Nicholas. We also learned a traditional Russian folk song which we would perform at church later in the week. 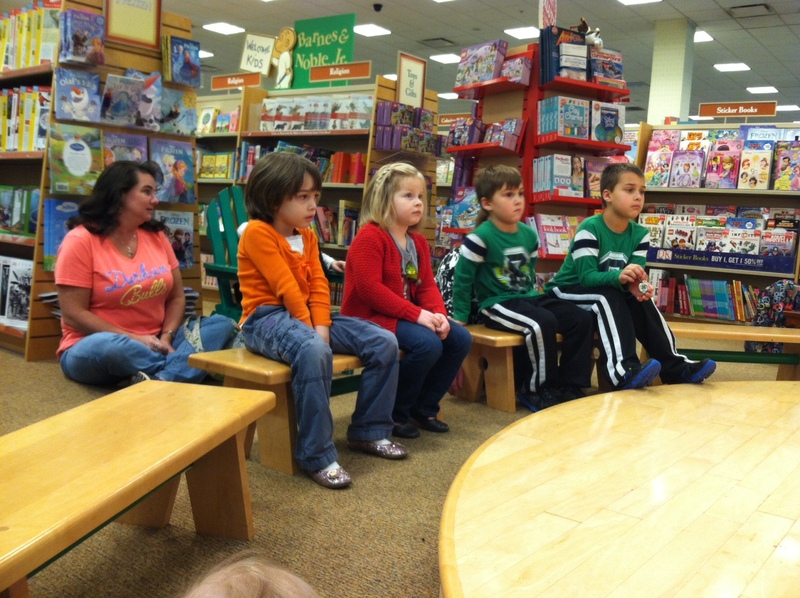 On Monday afternoon we joined R and her family again at a local bookstore for storytime. They listened politely to How the Grinch Stole Christmas and made a grinch themed card to bring home. 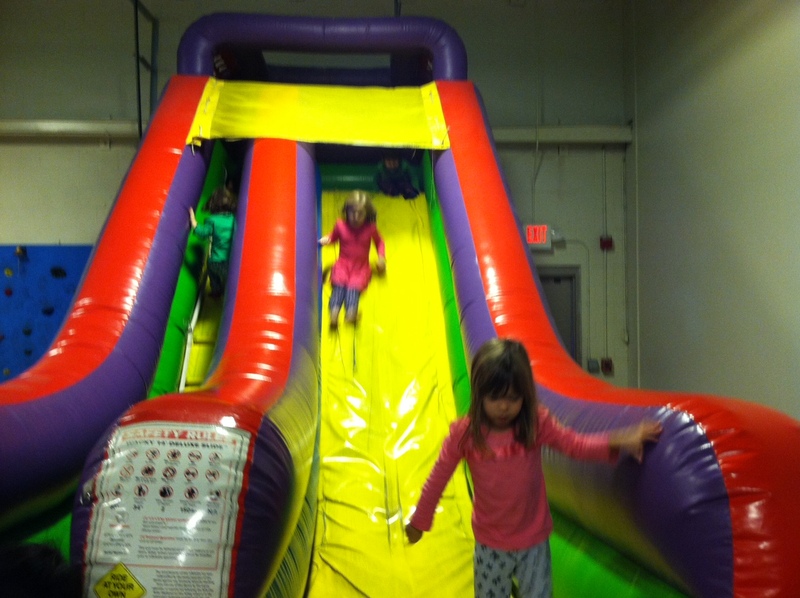 Tuesday was our monthly activity day for the homeschooled kids of our parish. They came together to decorate and bake Christmas cookies and to rehearse the St Nicholas song. 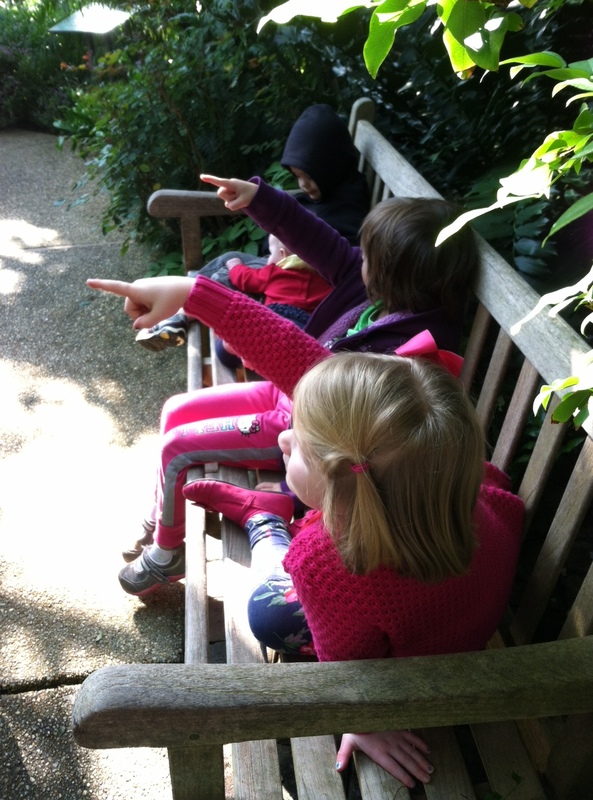 On Thursday A requested a science experiment, so we tried to pick up an ice cube with a string. It took a few tries and some patience, but it worked! The look on her face was priceless. On Thursday afternoon my across the street neighbor P, who is also 4, came over to play. A & P spent half their time together devising an art project and kept themselves happily busy coloring, cutting, and taping for much longer than A usually does. I enjoyed that! On Friday we had a fun playdate with A’s closest friends R and C at a local indoor play space. We all napped well that afternoon! Saturday was St Nicholas Day. We went to liturgy in the morning. Every year the kids remove their shoes and leave them in the narthex. St Nicholas visits us during the service and leaves a sweet surprise in everyone’s shoes! This year we all stayed at church for lunch. During lunch the kids’ singing group got to sing the St Nicholas song twice! They did a fantastic job. It was important to us, as we enter the holiday season, to talk with the kids about giving. We didn’t want to beat them about the head and shoulders with lectures on privilege and poverty, but we did want them to be aware that giving is an option. 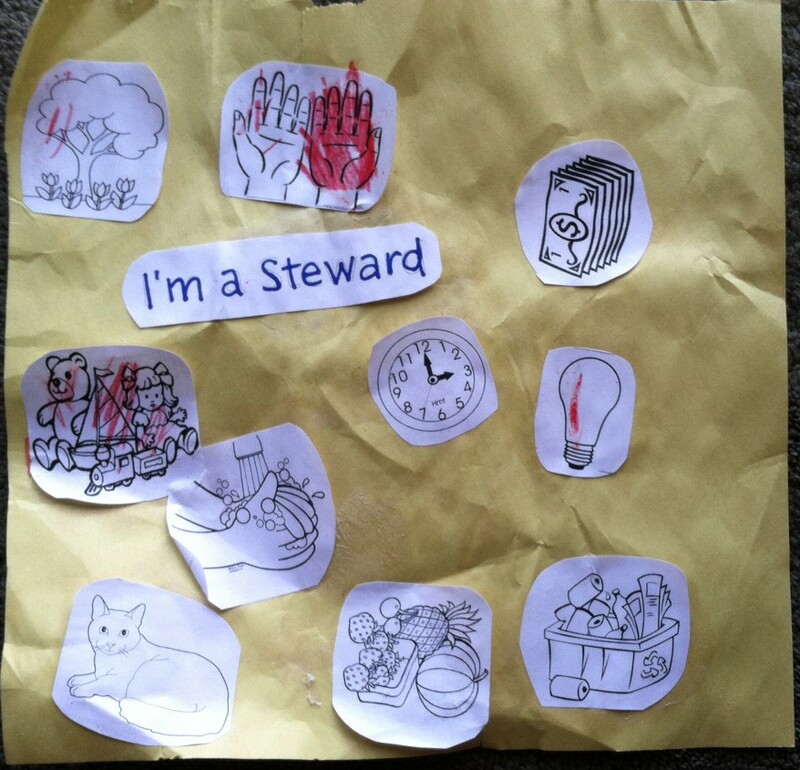 So R’s mom put together a lesson on all of the various ways we can be good stewards. We can be good stewards by being careful with other people’s things; caring for our pets and toys; not wasting time, water, electricity or food; recycling, composting, and otherwise caring for our environment; and by sharing our money and our things with people who are less fortunate than us. A enjoyed the lesson (especially the glue sticks! ), but her idea of someone who is less fortunate is my across the street neighbor who doesn’t have a steering wheel toy like she does. I’m glad that she isn’t aware of these sorts of things yet. 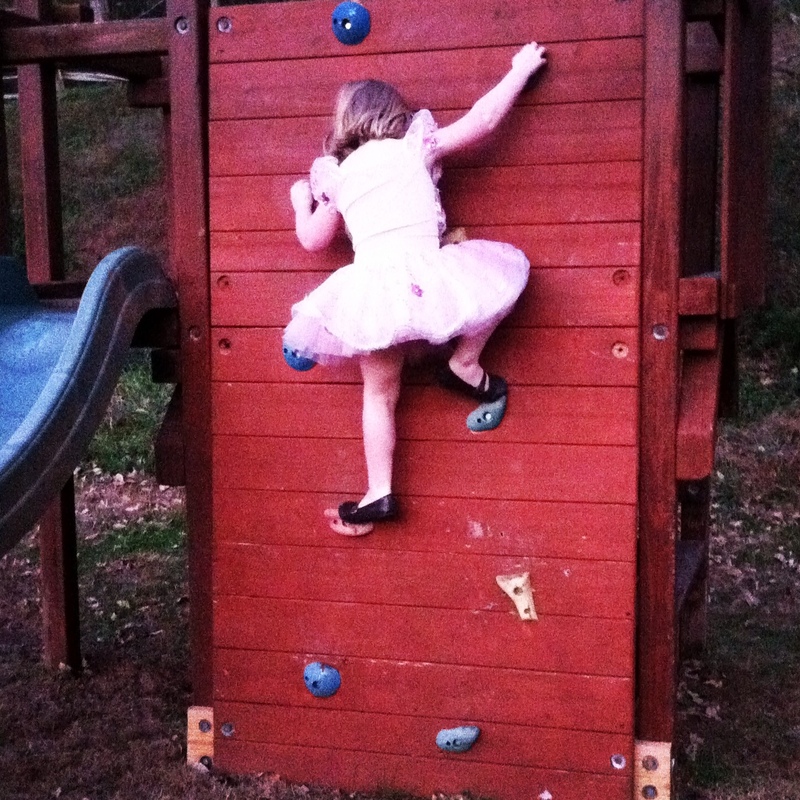 Maybe we planted a seed that she will think of when she does become aware that there are children with nothing. This was a great week for A, the social butterfly. She got to see friends and watch movies at church every morning while I helped the women’s group bake baklawa for our annual fundraiser. Playing with her friends makes her so happy! On Monday afternoon we baked bread together for the first time. 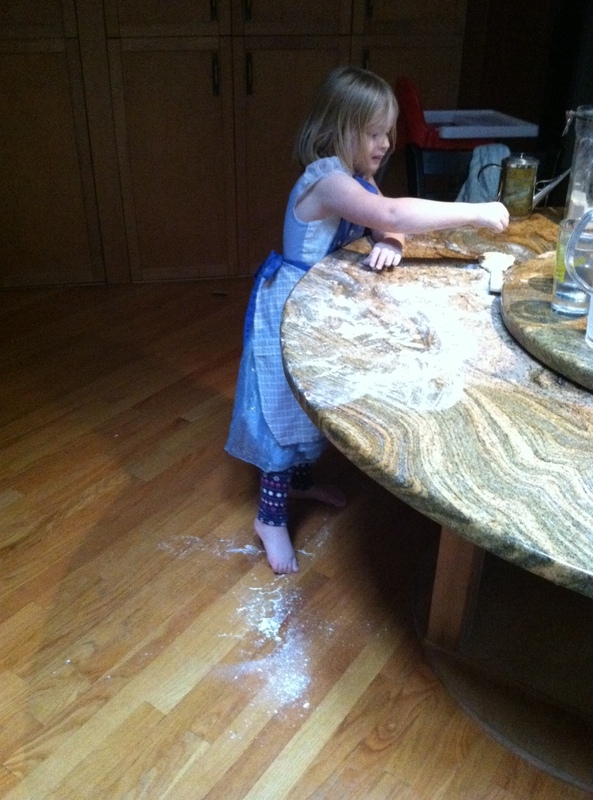 A kneaded her own little lump of dough, and when it was baked we shared steaming hot bread together. The dog helped us clean up our mess. That was pretty much our whole week. We were at church every morning and evening in the second half of the week, and in between there were naps, short playdates, and quality time on the iPad. A has started teaching herself phonics on the Starfall app. I’m curious to see where this will lead. We do a little bit of math every week, but last week we decided to spend our whole week on math concepts. On Monday we read one of my favorite little books (it has been in my purse for church reading since A was old enough to stop eating books), How Many Veggies?. Then we did a few of the Math Mission cards from A’s Team Umizoomi math curriculum. We made playdoh shapes and numbers, used multiple tools for measuring, traced numbers on each other’s backs, and tested to see how many jumping jacks we could do in a minute. Then we headed outside to play shape hopscotch, which was more like a giant sudoku board for R’s mom and me! 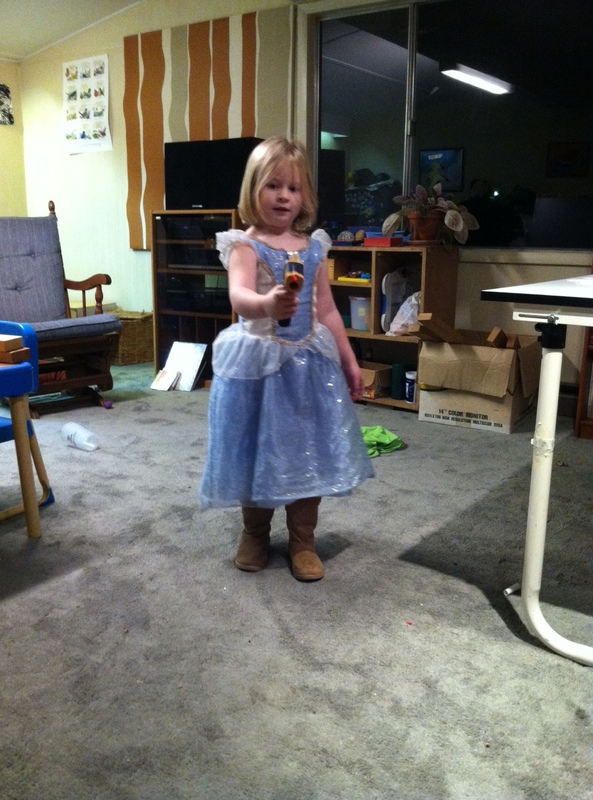 Later that afternoon my husband came home and continued our math lesson with a laser thermometer that we own. A was really enjoying taking the temperature of just about everything in our house. By Wednesday she had picked up on how to say a two-digit number. What on Monday was seven one had by Wednesday become seventy-one. Yay progress! On Thursday I introduced A to the movie Fantasia and she absolutely loved it! Above you can see her dancing to one of the scenes in it (with a costume change, of course). 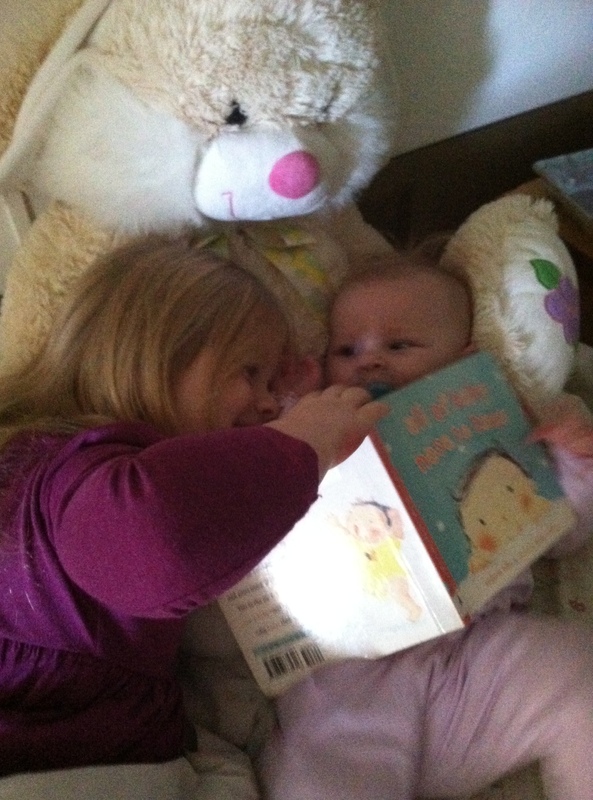 I’ll leave you with one last sister photo. 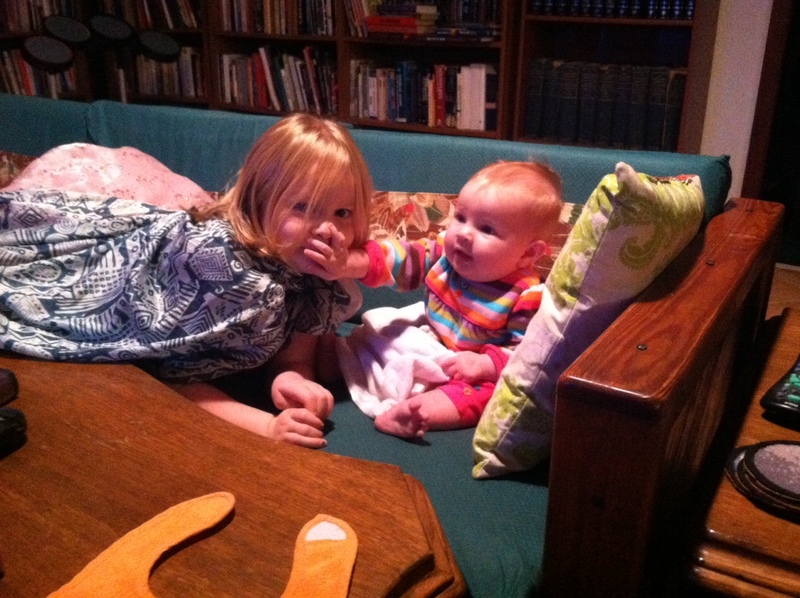 Baby S likes to grab faces and she just loves her sister! 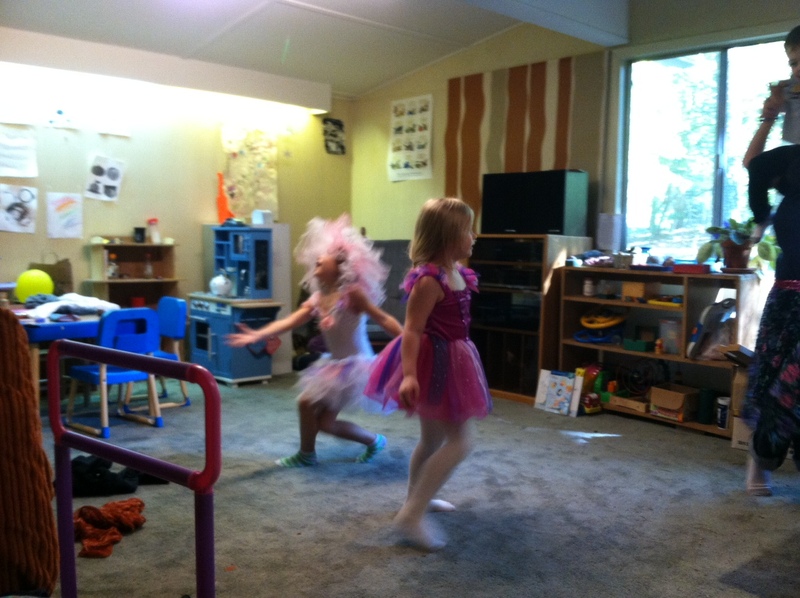 Last week was ballet week at our little home preschool, and we had some very happy ballerinas as students! R’s mom set the week up by inviting A to the library the previous Saturday where a local ballet group did a free public rehearsal for the Nutcracker. They even taught the kids a dance. I didn’t go, but A showed me her soldier march after Vespers that night. She really enjoyed it. Then on Monday morning we got together for our formal ballet lesson. The girls colored a letter s worksheet and we had our usual storytime (Angelina Ballerina) before getting into the best part: the dancing. R’s mom led the girls through a ballet warmup and taught them the various foot and arm positions before letting them dress up and go crazy to ballet music. The rest of the week was a bit off the rails partly because I didn’t prepare much else to do, but also because A’s great-grandfather passed away. We had a lot of conversations about death and heaven instead, which was fine with me. It’s not like we would have made a whole preschool theme week about it! So we took last week one day at a time. They had a nice conversation about something, I’m sure. On Thursday I went to A’s house early and we had a pajama party while the rest of her family went out of town. 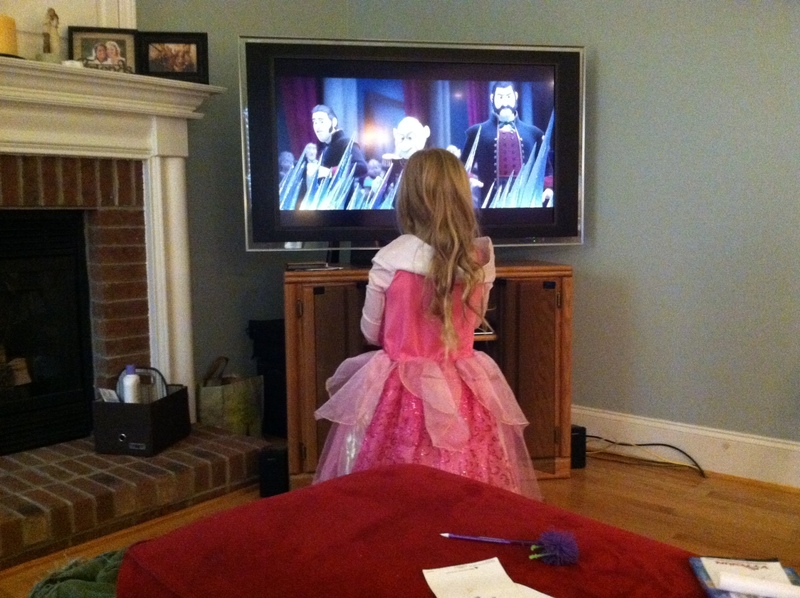 For the first couple of hours we ate breakfast and she watched Frozen (again) in her fanciest dress. We had our usual playdate with R on Friday morning and a liturgy for the archangels on Friday night. It was a full week! And now suddenly this week is almost over. I’ll update sooner next time.